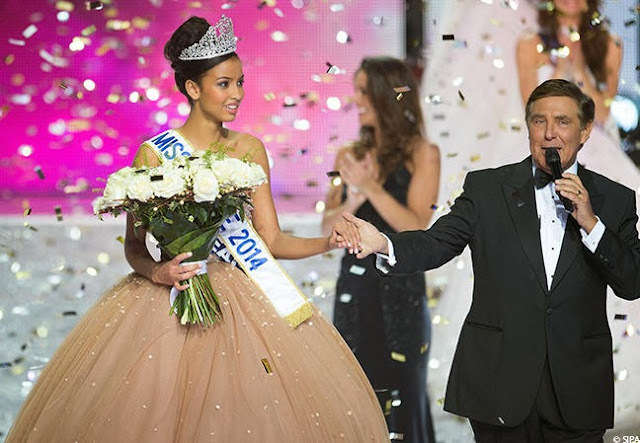 19 year old Flora Coquerel, Miss Orleanais, was crowned the 85th Miss France during a magnificent event held at the Zenith in Dijon, in the Bourgogne region in France, on December 7, 2013. After a tie in the first place, with both misses Orleanais and Tahiti, the public decided that Coquerel was the new Miss France. Standing 1.82m tall, Flora works in international trade and will represent France in the Miss World 2014 pageant to be held in London. The 1st runner-up was Miss Tahiti Mehiata Riaria. And the 2nd runner-up was Provence Laetizia Giovannelli, and the 3rd and 4th runners-up were Cote D’Azur Aurianne Sinacola and Guadeloupe Chloe Deher, respectively. Miss Tahiti is expected to represent France in the Miss Universe 2014 pageant, while one of the runners-up might to go Miss Supranational 2014 or Miss Earth 2014.